"The goal is to start early, earlier than previous seasons, to have a good start. This will open doors for the rest of the season." In search of resurgence after a difficult 2016 season which was hampered by a few physical problems, Brice Feillu will have a busy schedule early in the year. The plan is to start soon and quickly find his best form. In an interview with La Nouvelle Republique, the younger brother of Romain has indicated that he will do all the races in southern France in January / February, the Grand Prix La Marseillaise, La Mediterraneenne, the Tour du Haut Var and the Tour La Provence. As he feels "good" at the moment, the winner in Andorra Arcalis at the 2009 Tour hopes to show himself as soon as possible. "The goal is to start early, earlier than previous seasons, to have a good start. This will open doors for the rest of the season," he told. 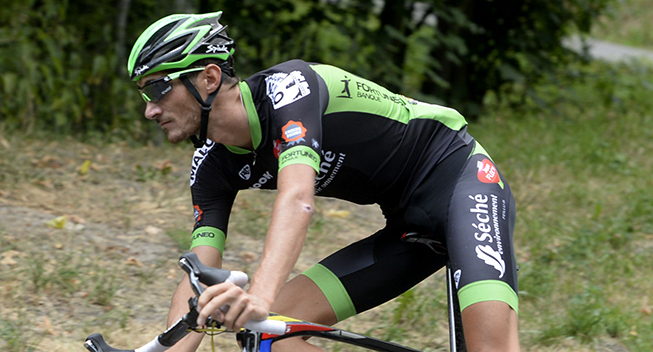 In 2016, the Fortuneo Vital Concept rider was fifth in Finhaut-Emosson at the Tour and won the mountains classification in the Tour de Luxembourg.